“What’s in a name?” Shakespeare famously asked. One may posit the same question about a motto. 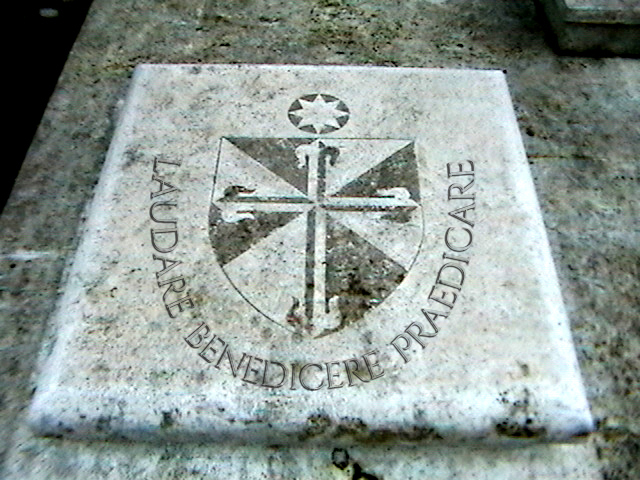 The Dominican Order boasts not one or two, but three mottos. Reflecting on these mottos can offer great insight into the motivation and day-to-day activities of its members. 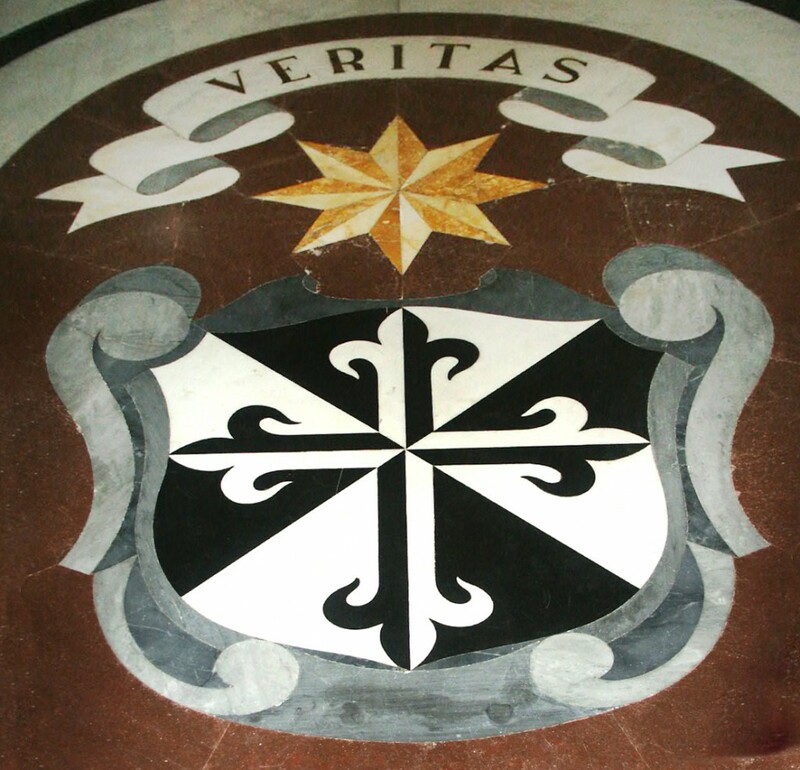 First, consider the motto Veritas—Truth. At first glance, this motto locates the heart of our life in a quest for that which is in accord with reality. This is no small endeavor, but “Truth” takes us even further: it takes us to the Person of Jesus Christ who is Truth Himself (John 14:6). To claim truth as a goal immediately places the Dominican in dialogue with skeptics and philosophers and those who, like Pilate, are uncertain about their own place in the world. The message of salvation, of the Incarnation and the Redemption, answers these deep questions and offers us the truth that sets one free (cf. John 8:32). Some today argue that respect for freedom of the individual makes it wrong to seek truth, including the truth about what is good. In some circles to speak of truth is seen as controversial or divisive, and consequently best kept in the private sphere… Dear friends, truth is not an imposition. Nor is it simply a set of rules. It is a discovery of the One who never fails us; the One whom we can always trust. In seeking truth we come to live by belief because ultimately truth is a person: Jesus Christ. The liberating power of truth and the embodiment of truth in the person of Jesus give us deep cause for contemplation and lead us naturally to consider our second motto: Contemplare et contemplata aliis tradere. St. Thomas Aquinas is usually given credit for this phrase. If he did not coin it, he certainly became the exemplar for living it out. The translation is “to contemplate and to give to others the fruits of contemplation.” Although the Dominican Order is officially named the Order of Preachers, from the earliest days, St. Dominic made it clear that without study, prayer, and meditation, the preacher has nothing to offer. In our community, our daily schedule attests to the preeminence of contemplation: our first community exercise of the day is a half-hour of meditation. Additionally, the silence that pervades the house exists to foster prayer and meditation, not merely as an escape from noise. While it is true that the first end of our consecrated life is the glory of God and the sanctification of our own souls, we naturally want to share the blessings of our life and prayer with others in order to be instruments of their salvation. This leads us to the third motto: laudare, benedicere, praedicare—to praise, to bless, to preach. Again, we see the movement from contemplating (praising and blessing God) to sharing the fruits of contemplation (preaching). There is an urgency in this motto and in the Order’s official name. Preaching is a necessity, as St. Paul explains in the Letter to the Romans: “For ‘everyone who calls on the name of the Lord will be saved.’ But how can they call on Him in whom they have not believed? And how can they believe in Him of whom they have not heard? And how can they hear without someone to preach? And how can people preach unless they are sent? As it is written, ‘How beautiful are the feet of those who bring (the) good news!’” (10:13-15). Like the Old Testament prophet Jeremiah, the Dominican cannot help but proclaim the goodness of God and the need for conversion. When St. Dominic encountered the Albigensians, he realized that the only thing that could counteract their heresy was a preaching of the truth with integrity. Today, Dominicans seek to offer the same response to the heresies and confusion in our world. This is our perennial task.